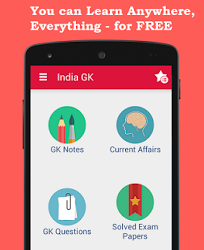 27, 28 January 2016 Current Affairs MCQs, Quiz, Questions: Current Affairs for January 2016, Daily Multiple Choice Questions (MCQs) for India GK, World GK and current affairs with Collection of daily objective type Question by www.Indiagk.net based on General Knowledge (GK) and General Science (GS) Questions for UPSC, State PSC, SSC, Police exam, Railway exam, SBI, Bank PO, IBPC, SSC, LDC, UDC, Army, Airforce, Navy, Coast Guard, Bank Clerk, TET and all entrance examination with current affairs News, Multiple Choice Questions (MCQs) available on Website www.IndiaGK.net and Android Apps with daily updates:. India's CERT (Computer Emergency Response Team) on 27th January signs MoU with .... ? Cabinet approves raising of --------- Indian Reserve Battalions by J&K and LWE States ? Union Cabinet under the Chairmanship of Prime Minister Shri Narendra Modi has approved the raising of 17 India Reserve Battalions (IR Bns) by Jammu & Kashmir and Left Wing Extremism (LWE) affected States. It includes five IR Bns in the state of J&K, four IR Bns in Chhattisgarh, three IR Bns in Jharkhand, three IR Bns in Odisha and two IR Bns in Maharashtra.